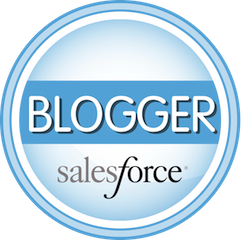 ← What’s a Good Salesforce Administrator Worth? First off, what is a "round robin"? Simply put, it’s a rotation through a group. 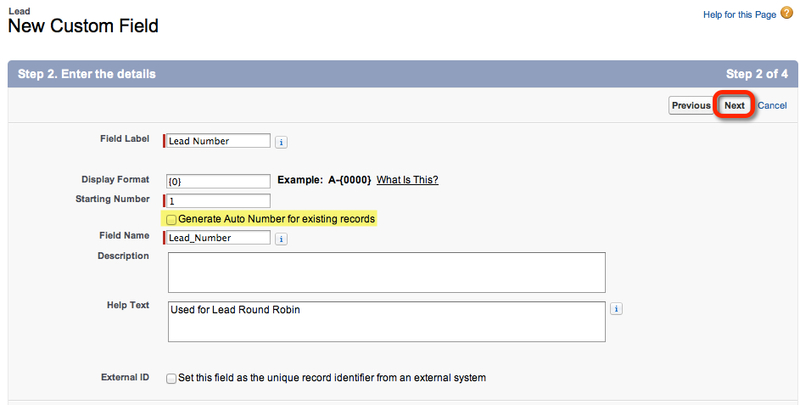 In the context of Salesforce.com, the term round robin frequently comes into play when assigning Lead or Case records to users. For example, you might have five sales reps working new Leads and, as an administrator, you want to divvy out all new Leads equally among the five reps. So if you had a 100 new leads, you would want each rep to get exactly 20 Lead records. 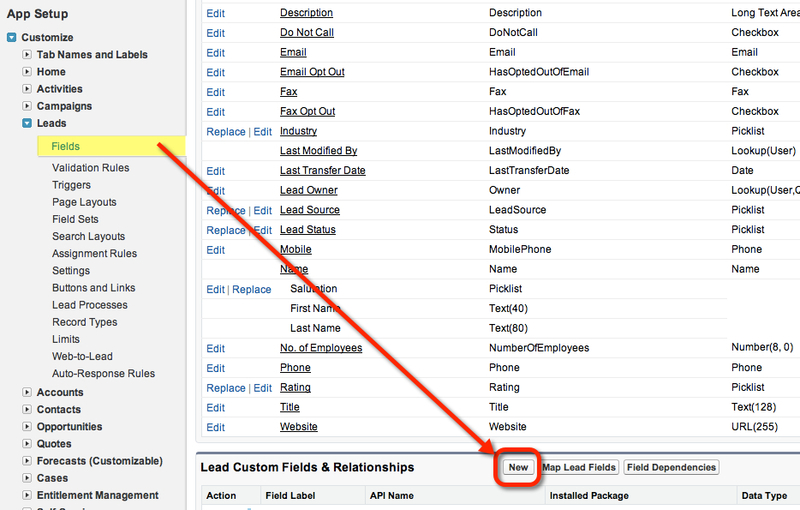 To pull this off in Salesforce you’ll need to create two custom fields on the Lead object. The first is an Auto Number field and the second is a Formula field. You’ll see in a moment how to leverage these two fields to assign Leads. 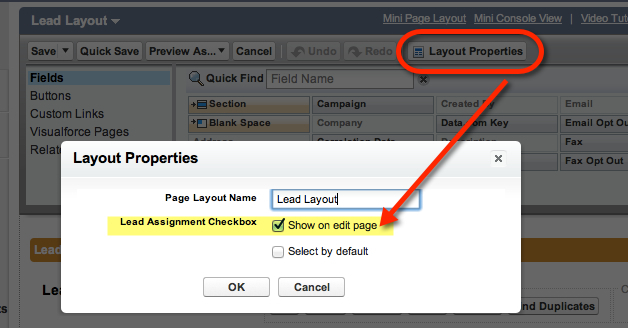 Slide down the page past the "out of the box" fields until you see the "New" button where you can create a custom field. In Step 1 of the custom field wizard, pick the data type "Auto Number"
Next we are going to create a formula field that will take the number generated by Salesforce and assign it a value in a range you specify in the formula. In Step 1 of the wizard specify a Formula field. The MOD function is going to take our Lead Number, do a bit of math and return a number in a range we specify. The "3″ in the formula above means that it will return a number of 1, 2, or 3. 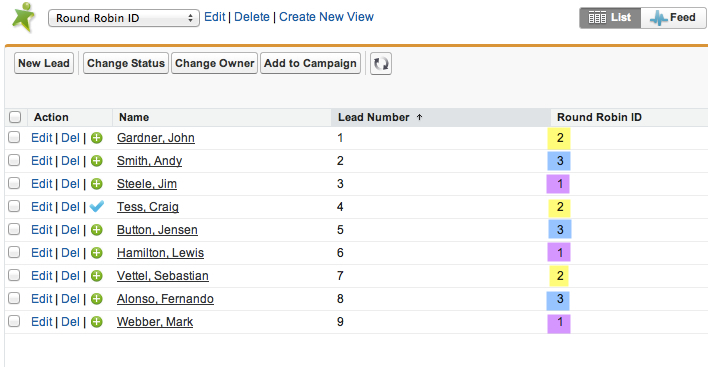 This quick Lead View shows how the formula is taking our Lead Number field and creating a Round Robin ID. For example if you change the "3″ in the MOD formula to "5″ you’ll get a result of either 1, 2, 3, 4, or 5 for your Round Robin ID. 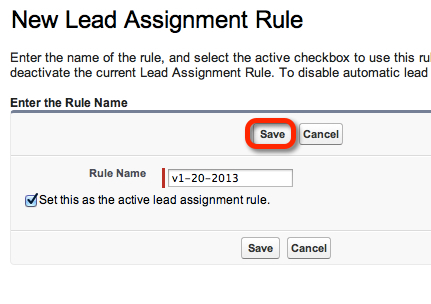 Now that we have a method to tag each Lead with a Round Robin ID (number), we can leverage this in a Lead Assignment Rule by going to Setup > App Setup > Customize > Leads > Lead Assignment Rules, then click the "New" button. Then click the "New" button to start entering rules. Select the User to be assigned the Lead and (optionally) select an email template to notify the new owner they have just been assigned a Lead. There is an "out of the box" email template called "Leads: New assignment notification (SAMPLE)" that comes with Salesforce that is usually stored in the "Unfiled Public Email Templates" folder. 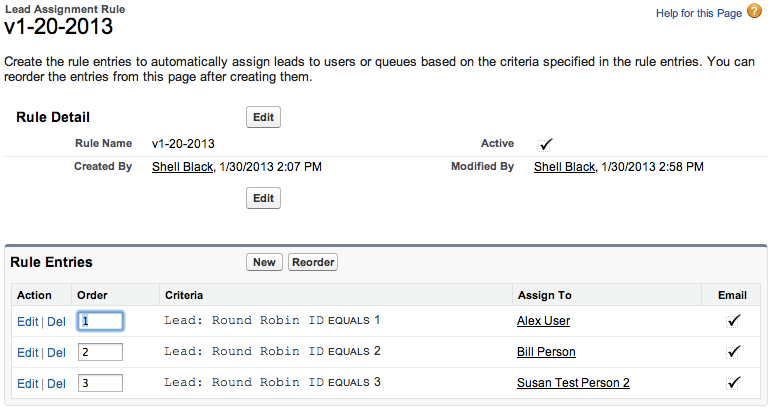 Create a rule for each rep that needs to be assigned a Lead based on our Round Robin ID. The Sort Order is the order in which the rules are evaluated. How does Sort Order come into play? 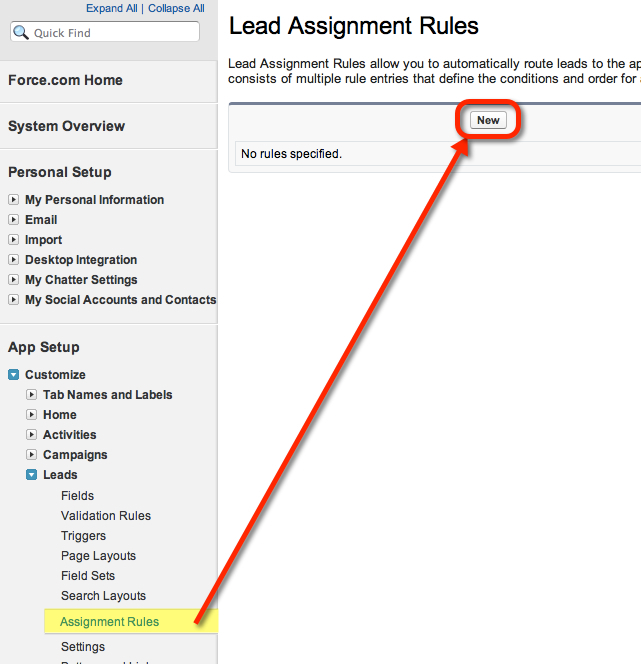 When you have a set of assignment rules, Salesforce evaluates the rule in the order you specify (i.e. the Sort Order). 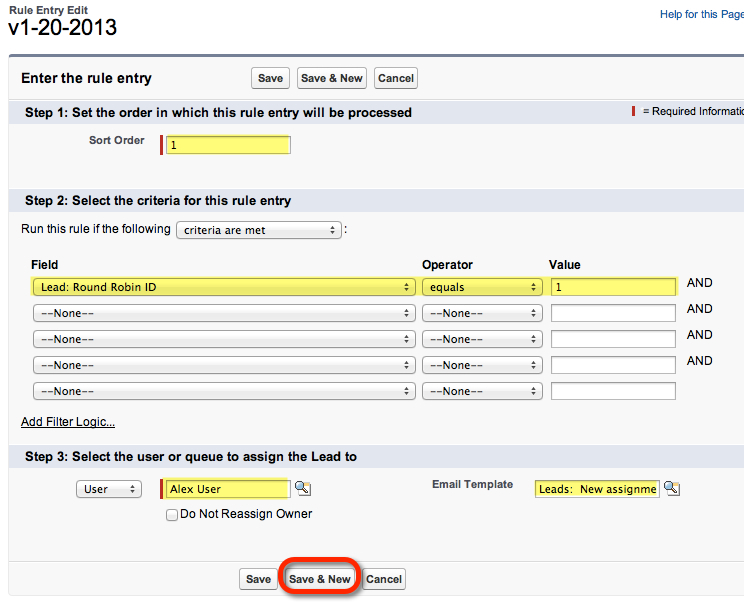 Salesforce checks the Lead record against the first rule (Sort Order 1), and if the criteria is a match, Salesforce reassigns the Lead to the new Owner. If the Lead record being evaluated does not match the first rule, the Lead assignment rule checks the next rule in the sort order and continues until the criteria makes a match. We’ll expand on how to construct and best practices on Assignment Rules in a later blog post. When you are finished, you’ll have a rule for each person that you want assigned a lead. Check that box and save the Lead record. Viola! Your lead should be reassigned based on the rules you have in place.